What makes this beer different: The fest Oktoberfest beer I have EVER tried. Will I be drinking this again: Will be trading for some of this next year. 11/24/2010: My first beer back! I actually drank this a while back, but took a mini vacation from updating. I have about 6-7 beers to update, just need to get around to editing the pictures and getting everything up on the site. About the beer; this is classified as a Rye Beer on BA, but I am convinced that has to be a mistake. It HAS to be an Oktoberfest just check out the design on the can. The nose is Pale malt dominant with some noble hop action. The flavor is just amazing as far as an Oktoberfest goes; some caramel, nuts, noble hops, and even a bit of citrus. The rye is there but I would not call this a rye beer. Interesting combo of flavors, but they work amazingly well. Mouthfeel is super creamy for a lager, medium body and super drinkable. I really wish Surly would distribute to PA. Maybe someday! Picture of the day: A Genie does not let you wish for more wishes …butttttt. What makes this beer different: The lightest bodied of the “Mega Stouts” that I have had thus far, pretty hoppy as well. Will I be drinking this again: Not this years version, but I am trading a Bourbon Barrel Aged Blackout Stout for one of this years. Thanks Doug! 10/24/2010: Okay so the background for this picture was a terrible choice on my part. Of course I wanted to go for the dark theme, but didn’t think the color of Surly Darkness would literally be pitch black just like the background. Well regardless it certainly does prove that this is one super dark brew. 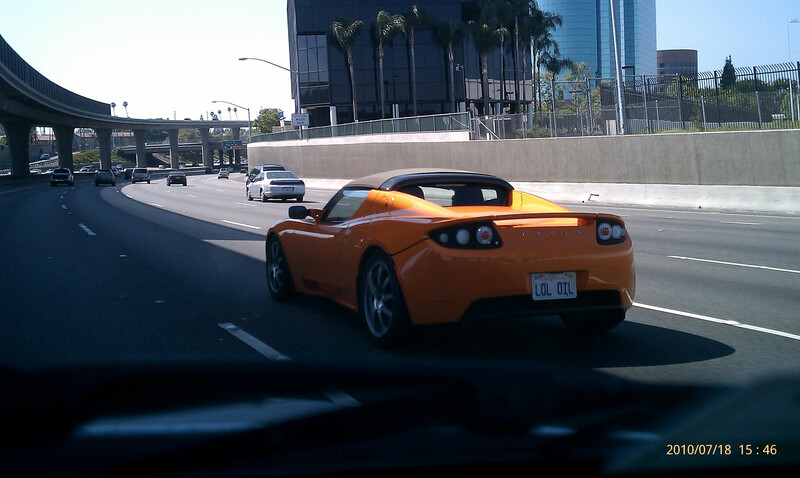 Aptly named to be sure. Thanks again to Mike and Ruth from BonBeer for sending me this. The nose is a bit boozy, roasted chocolate, and hops! That was unexpected. The flavor in order of dominance, roasted coffee, bittersweet chocolate, booze, earthy hops, dark fruit, and licorice. The mouthfeel is way on the opposite end of the spectrum when compared to Dark Lord. Dark Lord was a bit too syrupy, and Darkness is a little too light in the mouthfeel department. If you combined the two, you just might create the perfect beer. Overall don’t get me wrong this is an awesome beer my only complaints are that the booze is a bit too prevalent, and the mouthfeel is lacking just by a bit. I also cannot imagine how hoppy this must be fresh, as it is by far the hoppiest RIS that I have ever tried, and thats with an entire year of age on it. Picture of the day: I see digging ditches in this kids future. What makes this beer different: Not much special about this one, just a smooth drinker. Will I be drinking this again: Maybe! This would make for a good tailgating beer. 10/2/2010: This is my first beer within the Zwickel/Keller style. Looks like its not all that popular of a style considering the most reviewed beer only has 152 ticks on Beer Advocate. Apparently its one of the older styles of beer out there, dating back to the middle ages. From what I can tell its not meant to be an overly complicated beer. The nose is clean and simple, all I am really getting is grain and some breadiness. The flavors are light but refreshing, mostly light toasted bread flavors, and slightly bitter hops. The hops give off a bit of lemon flavor. The body is light with medium carbonation. Overall a good refreshing beer, could just use a little more flavor. 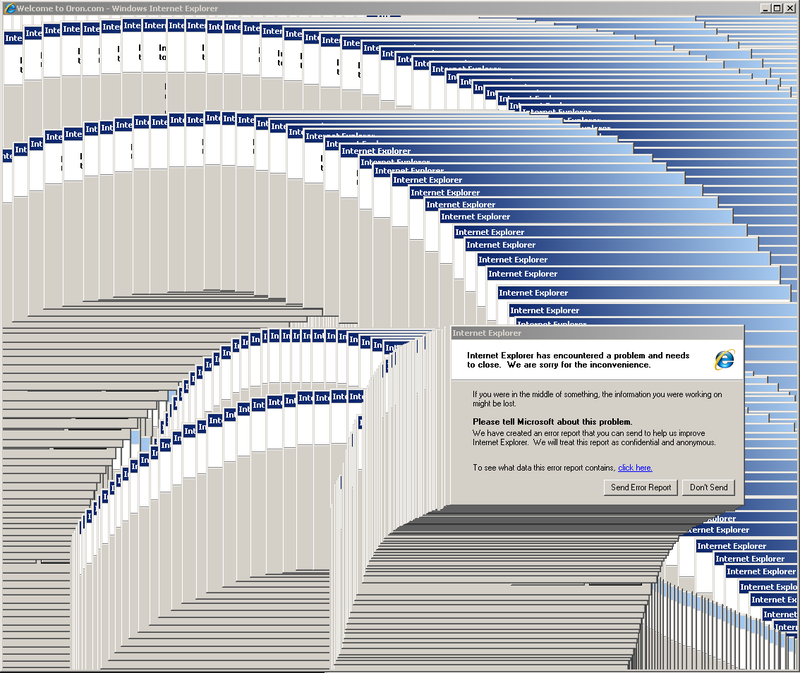 Picture of the day: This is one thing that Firefox cannot do. What makes this beer different: Kind of minerally tasting, thin bodied. 9/6/2010: My last trip up to Vintage Estate I decided to grab up as many Oktoberfest/Pumpkin beers as possible, even if I knew nothing about said beers. This was one I knew nothing about, but the $1.50 price point was enough reason for me to take a gamble. Schell’s Oktoberfest pours out very thing, and the head dissipates almost immediately. The nose is almost non-existent, just some toasted caramel malt notes. The flavor is pretty unbalanced, a little bit of toasted malt flavor, with some a bitter kick that reminds me of iced tea that is unsweetened. Some minerally attributes as well. Mouthfeel was the final nail in the coffin here, it was VERY light, and under-carbonated. I heard good things about Schell beer, but my first impression has not been a good one. Picture of the day: The first record of a time traveler? What makes this beer different: The first coffee flavored brown ale I have ever had. Will I be drinking this again: Yes I would love to. Might have to trade for it. 7/15/2010: This technically is the last beer in my Surly Beer week, I almost forgot that I already drank the Abrasive Ale about a month ago. Description below. This beer is our regular Bender beer with a cold-press coffee-brewing process. We steep 20 gallons at a time, so this beer will pop up at Tours, beer fests and special tappings. The coffee is roasted locally at Coffee & Tea Limited in Linden Hills. I am a big fan of any coffee flavored beer, but this is the first brown ale I have had with such flavoring. My favorite coffee beer thus far hands down is Perkulator by Dark Horse. Coffee Bender might have just jumped into the #2 spot. The smell is french roasted coffee and sweet brown sugar. The flavor really reminds me of an iced coffee; coffee, creaminess, and just sweet enough. The mouthfeel from the oatmeal really helps this beer just as it did the regular bender. Overall I really like this Coffee Bender, but needed a bit more of a coffee punch to jump into my #1 spot for coffee flavored beer. What makes this beer different: Smoothest most drinkable brown ale ever. Will I be drinking this again: Yes, I will probably be trading for more of this. 7/12/2010: I figured I would start my Surly week off with a staple for the brewery; Bender. Instead of posting up some intro text to all these beers, I’m just going to post the beer description printed on the can itself. Get Surly! Here’s what happens when substance meets smooth. This oatmeal brown ale defies traditional categories. Bender begins crisp and lightly hoppy, complemented by the velvety sleekness oats deliver. Belgian and British malts usher in cascades of cocoa, coffee, caramel, and hints of vanilla and cream. An easy-drinking ale with many layers of satisfaction. Should be interesting! Oatmeal usually isn’t used outside of stouts/porters, but I am all for breaking the laws of beer. Bender smells brown sugary, and actually some coffee notes. There is a lot of flavor going on, but it still goes down very smooth. There is a fierce battle going on between sweet dark maltiness, and sharp hoppiness, but the oatmeal steps in and breaks up the fight. What I am trying to say is the malt/hop flavors are strong, but they are in perfect balance because of the smoothness that the oatmeal gives this beer. The mouthfeel is great, medium/heavy but super smooth and creamy. You need to find this beer. 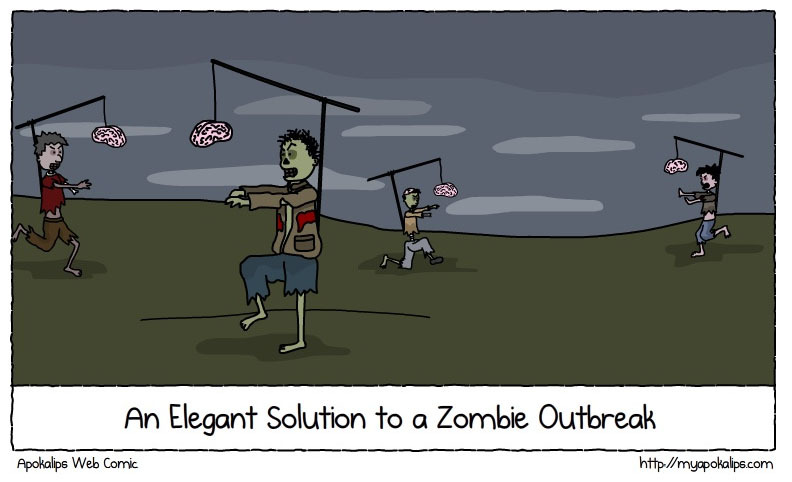 Picture of the day: An elegant solution to a zombie outbreak.